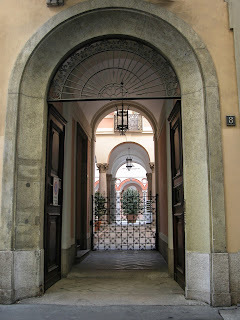 Milan is like a discreet lady, often luxuriously gorgeous behind a simple veil. 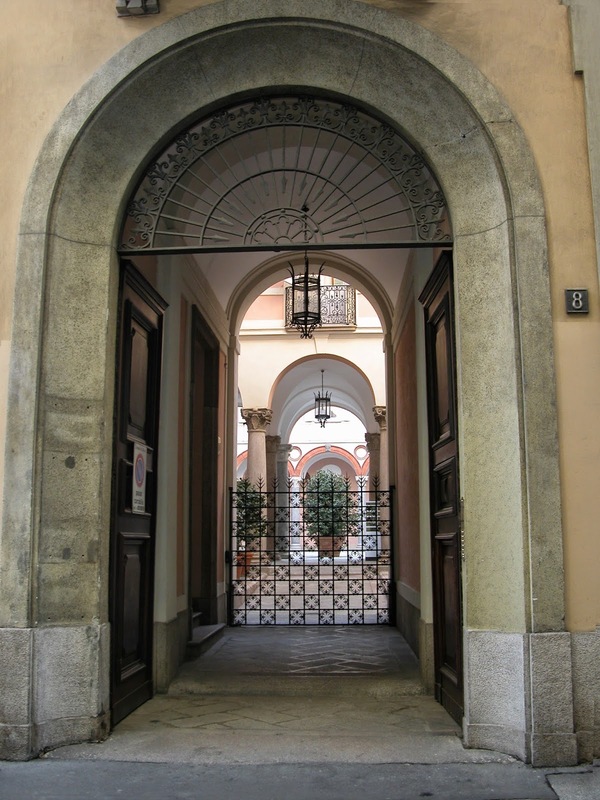 Sunday, May 25, is the annual "Open Courtyards" (Cortili Aperti) day organized by ADSI, the association of historic Italian homes NOT to be confused with historic house museums. The homes belonging to this association still can be private dwellings, or can have been transformed into B&Bs or hotels. In some courtyards, you will be treated to music thanks to a collaboration with the Civica Scuola di Musica. In others, you'll be able to look at historic cars thanks to a collaboration with CMAE, the Milanese club for historic vehicles. I snapped this shot in Via Amedei on the 23rd of December, 2011, at almost 3 P.M.